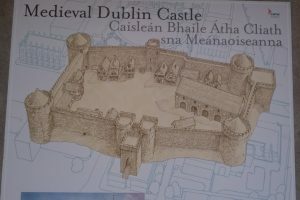 Elements of the medieval castle of Dublin are found in the Record Tower, the lower sections of the Bermingham Tower and St Patrick’s Hall south elevation, and under the north east range are the foundations of the Powder Tower. 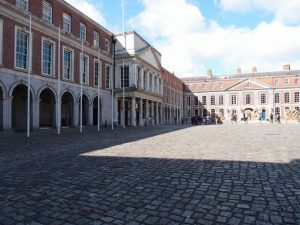 The seventeenth century saw some building within the upper castle yard and Lord Deputy Wentworth consolidated the grounds that would become the core of the lower castle yard as well as building a stable block now on the site of the early eighteenth-century Treasury. 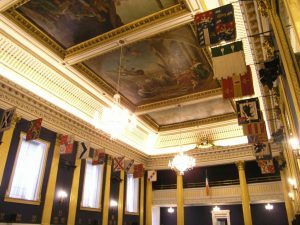 A devastating fire in April 1684 might have been the impetus for a radical re-imagining of the castle, the fact however that many of the core medieval functions – parliament and council chambers, and four courts – were moved outside the castle before and following the conflagration, meant a more protracted re-building campaign from the 1680s to the 1760s. 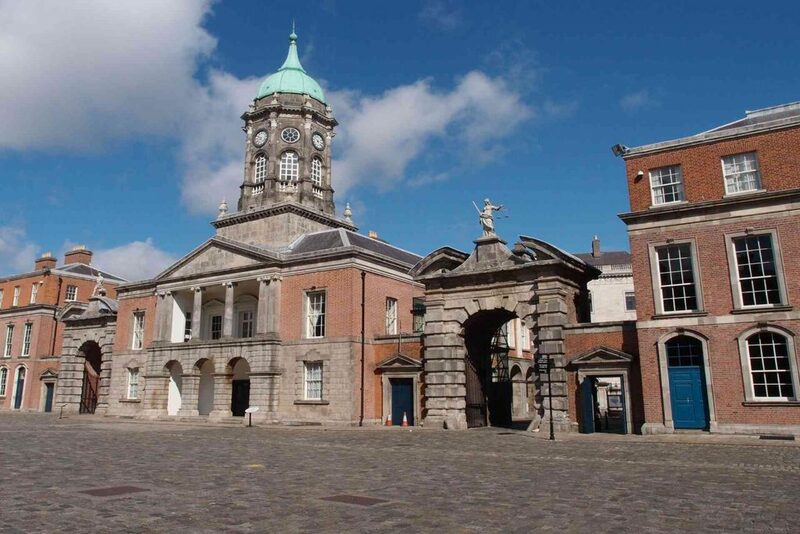 Nevertheless the set pieces – the enfilade of state apartments following the precedent of English palaces, St Patrick’s Hall (formerly the Ballroom), the swagger of the Bedford Tower and flanking entrance gates, the rebuilt Bermingham Tower – are an essential part of Irish architectural theatre. 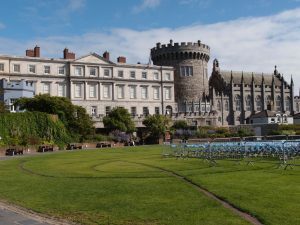 Johnston’s Chapel Royal in the Lower Castle Yard (1807-14) was truly innovative and widely imitated until superseded mid-century by simpler forms following Pugin’s demands for authenticity in materials.